Concept: Dungeons & Dragons © 1974 TSR, Inc., a subsidiary of Wizards of the Coast, Inc. - STAFF: Gary Gygax and Dave Arneson. This side-scrolling adventure maze is a spiritual successor to the Tomb of the Pharoah, and relies heavily on the trick of illusionary elements. 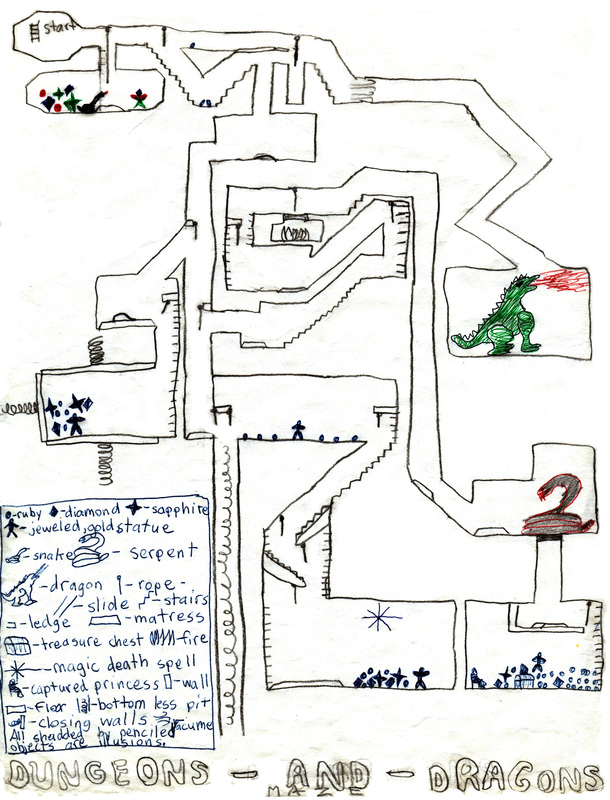 This is also one of the first mazes I ever did in color.